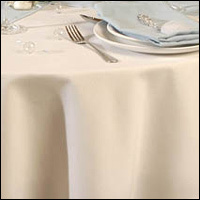 These durable and elegant tablecloths and conference or exhibition cloths are suitable for frequent washing or laundering, they are made from 100% polyester, are crease resistant and have excellent stain release properties.They are found extensively in quality hotels, restaurants, bistros and in function rooms, at exhibitions and conferences. 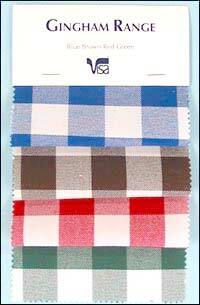 The tablecloths are of a quality preferred by laundries and companies that hire out tableware. 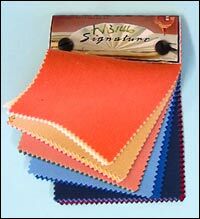 For tablecloth printing you may download this form, which will help specify your brand print requirements. Just email it to: info@tableclothstore.co.uk or alternatively fax it to: 01925 550123 and we will follow it up with you. 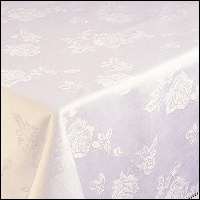 Damask Rose and Ivy Leaf Tablecloths and Napkins. Sizes available below, prices are per tablecloth. Specials sizes can be made to order - phone or email with your size requirements for a price. Phone 01925 262529 as soon as you can, send a message or request a ring back. If you require tablecloths printing please download this form, add in your details and email it to: info@tableclothstore.co.uk or alternatively fax it to: 01925 550123. 'Signature' plain weave cloths will add elegance and luxury to any setting and is the preferred material for our conference cloth presentation. The insignia, logo / branding service we offer uses this range of cloths to print on see below. The fabric of 'Madison', 'Signature', tablecloths and napkins is a revolutionary new napery fabric combining specially designed spun and filament fibres with breakthrough technology that give it a fantastic feel with virtually no deterioration with age. This tablecloth and napkin material is set to dominate the table linen market of the future. 100% polyester, this cloth has anti-stain, anti-crease and colour fast properties, with a brushed cotton finish, to give the feel of cotton, but much easier to look after and wash. Logo print service available for this product - one colour or full colour. 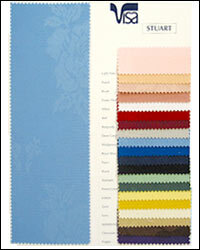 For help and advice in tablecloth branding and using our logo printing service please contact us. Downloading this form, will help you define your branding or insignia requirement and you can email it to info@tableclothstore.co.uk or alternatively fax it to us: 01925 550123. We will then follow it up with you. With the same high quality and durability Damask Rose and 'Signature' the Gingham check range in five colourways is ideal for the distinctive bistro, for parties and a Western look. Phone 01925 262529 if you require any help or advice.